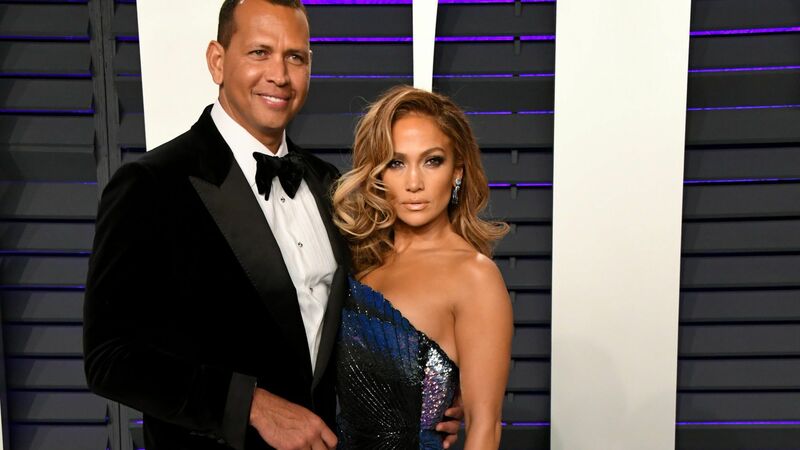 Jennifer Aniston's name keeps popping up amid talk of the Brangelia split, but the 47-year-old actress is showing the world that she's as happy as ever with husband Justin Theroux. The star couple was in the Big Apple yesterday, and they looked quite enamored with each other as they headed out for date night. Aniston and her 45-year-old beau were dressed all in black as they headed to dinner at N.Y.C. hot spot, The Smile. The Horrible Bosses actress wore a black tank top with a pair of black trousers, and she accessorized the look with simple black heels, a black cross-body bag, and a gold necklace. busy Aniston's blonde hair was styled in her signature straight 'do as she held hands with Theroux, who has been filming TV series The Leftovers. The actor wore black jeans and a black hoodie for a low-key date night vibe. Season 3 of The Leftovers finished filming this week, and Theroux took to Instagram to post a "finale" video in celebration. The clip shows a missile exploding in front of the cast as they pose for a final picture together. In the caption, Theroux wrote, "That's A WRAP. The Leftovers. Season 3. RIP." Looks like they'll have more time for date nights ahead!